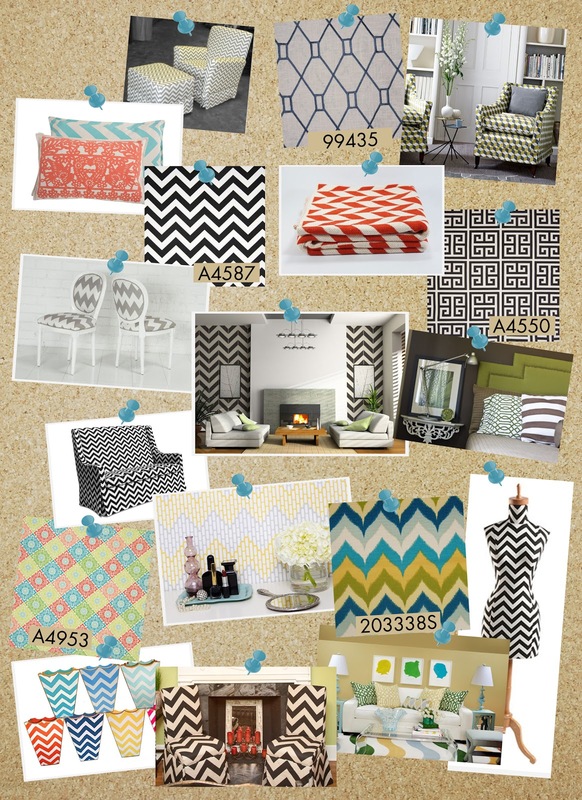 Chevrons and geometrics dominate the scene. From fashion, to fabric, to furniture, these modern trends can be seen everywhere. Brighter and bolder than ever, these styles have challenged tradition and have soared in success. Incorporate these trends into your own home by checking out our latest books for September and October. Some are classic and contemporary in their chic black and white designs while others are bright and fun with splashes of color throughout. Call your Customer & Fabric Specialist today for samples and keep an eye out for more of these patterns as we continue to bring you New Fabrics Every Month!